We're a Singaporean 100% owned foreign investment factory(1992) located in Shantou City-Guangdong province (China). Our factory land space is about 50, 000 sq meter with 50 injection machine range from 90 tonnes to 450 tonnes which manufacture mainly household item range from plastic food container boxes to waste bin. Our present (2002) plastic raw material consumption is about 100 to 200 tonnes monthly with export capacity of not less than 40-45 x 40" container load of our product range. 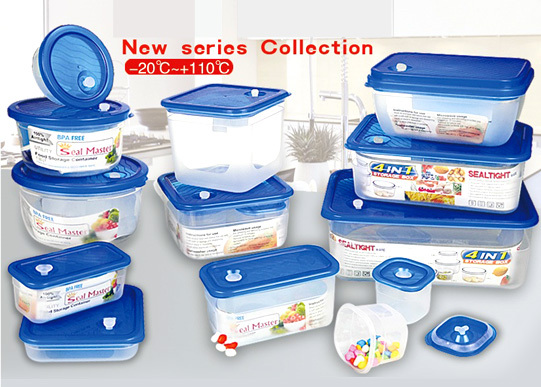 All our plastic raw material are imported from Singapore, Japan & Korea and are meant for European (CE) & U.S.A (F.D.A) approval market which is good to contain for food and it's non-toxic which can withstand temperature from freezer -20°C to +110°C microwave reheating (max.10 microwave min.). Please do not hesitate to contact us directly if any of our products is of interest to you.